If you are a large organization, you need a sign that matches your status. You can’t afford to have your headquarters or office complex go unnoticed. By having a quality sign at your location, you’ll attract attention, meaning more potential hires, more customers and more profits. By making your offices stand out, you’ll be making a strategic investment to increase the visibility of your company. 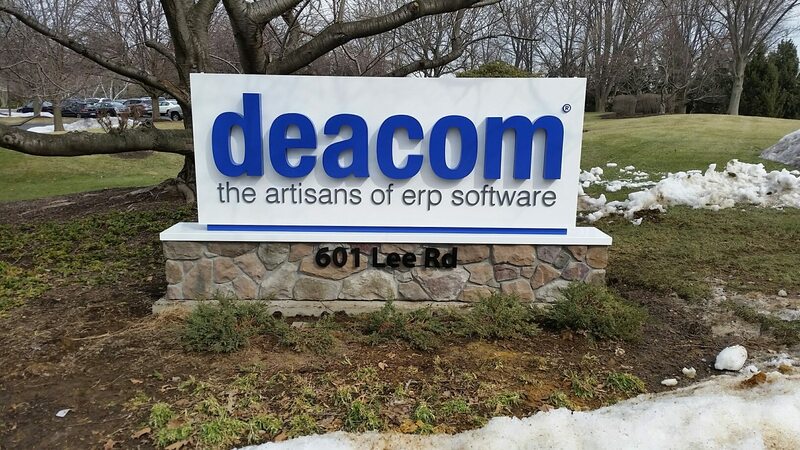 We can create custom signage to mirror the character of your organization, using our own techniques developed through years of being a top office sign company. Due to the wide variety of business types, we offer numerous choices and flexible options for every sign customer. Our specialty carved signs can go beyond a cookie-cutter look, offering custom designs and shapes to give your company a unique touch. If your goal is to grab the attention of passerby, our digital LED signs can attract attention any time of day. Or if you’d like a classy, more refined look, our custom channel letters offer a bold way to get your message across. At Bartush, we pride ourselves on giving your company as many options as possible to suit your needs. If you’re interested in getting a custom sign created, contact a representative today to get started! Bartush isn’t just your preferred local sign manufacturer – We handle everything from design to installation and even repairs! Whether you’ve got a plan in mind or you need help creating your perfect sign solution, we’ll be with you every step of the way. When you fill out this form, Bartush will reach out as soon as possible to begin acquiring more details about your sign project. We will provide you with consulting and ideas if you need assistance or we can make your vision become a reality. For a more detailed form, please contact us here.